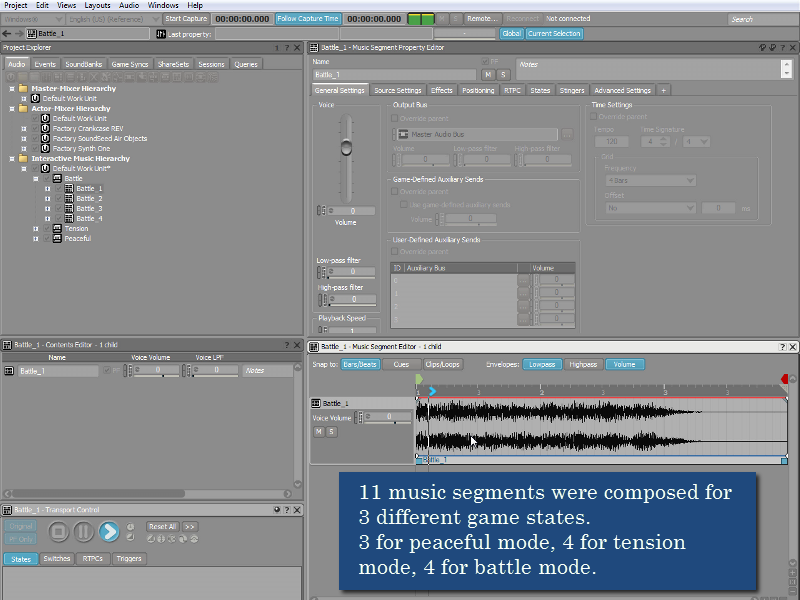 I made an interactive music demonstration for video games by using Wwise. I composed 11 music segments for 3 different game states. To synchronise two states, I used the same tempo and chord progression. It shows vertical and horizontal approaches through “peaceful”, “tension”, and “battle” states as an example.